Azalea Health is a suite of health care modules specifically designed for hospitals, community-based health care providers and ambulatory care settings. Its main functions include telehealth management, revenue cycle management, practice management, electronic medical records (EMR), electronic health records (EHR), and consulting services. Azalea Health software allows users to document SOAP notes, capture billing and send orders using a single screen. Azalea Health’s HIPAA-compliant platform for telehealth is fully integrated with powerful applications and helps enable real-time charting. The software allows users to access patient records at home, in the hospital, in the clinic or during practice hours. Azalea Health’s patient portal, appointment reminders and mobile application provide hands-on access to all features and aim to enhance the customer experience. Azalea Health helps increase care coordination by engaging more patients, ultimately creating more income opportunities. Azalea offers handheld guidance on all types of services including EHR incentive programs, payer credentialing and RHC certification. Azalea Health has a large library filled with customizable templates and forms with the aim of reducing manual tasks. Finally! An EHR customized for any size practice! I have worked with 5 EHR companies prior to Azalea Health. Customization has always been difficult with my previous vendors. Azalea Health started out of the gate asking our company how we operate. Unlike many solo practices, we have 34 locations across the country (and more anticipated soon). Azalea, along with our customer account rep, developed very user friendly templates. Each individual clinician can create templates to suit their practice, specialty. Also, online, there are many templates that are downloadable that will work in many situations until you can develop a good sense of designing your own templates. When it came to ICD9 to ICD10 changeover, Azalea did all the legwork. They have updates several times and we are able to better select more appropriate codes by searching simple descriptions. Azalea has even notated which codes may be inadequate for use (highlighted in red for ease of seeing). There is rarely any downtime in which Azalea is at fault. Having a cloud based EHR, there are occasional (not often) outages related to Google or other server issues. Azalea Health has been very responsive with our requests for updates/additions. They do have a process to follow and so, at times, your request may take longer than you think it should, but it is on their "to do list". Often, within a couple of updates, our requests become live.I love the ease of use compared to other EHRs I have used in the past. The customer service response has always had that "small town appeal" but their ability and the programmers' knowledge is nothing but higher tier. I love the ease of use compared to other EHRs I have used in the past. The customer service response has always had that "small town appeal" but their ability and the programmers' knowledge is nothing but higher tier. I can't begin to say enough about Azalea. I know its hard to believe people but if we had to purchase an EHR right now and knowing what we know, Azalea would be the one we would go to. The one thing I like the most is that when new regulations like MACRA or PQRS comes out, Azalea has already done the leg work for us. We just have to follow suit. They stay on top of all regulations from Medicare to Blue Cross because they do all aspects of a medical office. They have so many people that work for Azalea that give their input on what they need to make this one of the best EHR in the country. One of the best things I like about Azalea is that it does not go down very often. If it goes down, it is usually because of Google not because of Azalea. One of the best things I like about Azalea is that it does not go down very often. If it goes down, it is usually because of Google not because of Azalea. The best thing I love about Azalea is that it updates to our changing world of medicine every time something new comes out. For example, the ICD-9 codes changing to ICD-10. All we had to do is learn the codes. Azalea entered the codes into the system. When there are new ways for billing staff or front desk staff to make their jobs easier, Azalea is already on it. Most the time we don't have to ask but if we do, they implement it for us. I have figured out a LOT of work-arounds to make Azalea work well for our practice, especially with the TASKing function. Would still like to see some better tracking for Authorizations and improvement on the primary/2ndary insurances - they should work based on the effective/term dates and many times you have to manually match them up. Would be GREAT if they were driven by date and type. Very user friendly - easy to train new staff on the functionality. Love the service ticket option as the response is typically quite fast and you can track the progress without calling., though when I do call in - the customer service reps are great. Lance has saved me many, many times. Very user friendly - easy to train new staff on the functionality. Love the service ticket option as the response is typically quite fast and you can track the progress without calling., though when I do call in - the customer service reps are great. Lance has saved me many, many times. Lots of duplicate documents in charts as there is no lock-out on documents when other users are in them (specifically in the SFAX). When 2 users label a document concurrently - it creates 2 of that document. Would be great to have a lock-out feature that does not allow you to do ANYTHING on a document when there is another user in that document. Overall, its a good product-it has all the functions needed for small or large practices. Not too much, not too little. Easy to use-simple click and point process. Easy for a entry level employee to use. Azalea is willing to accept and implement user ideas for upgrades. Auto downloading of eras is the best feature-no paying a payment poster to spend hours manually entering payments-automate the system with Trizetto-a clearinghouse Azalea partners with. Great support staff-tickets are handled quickly and efficiently. Easy to use-simple click and point process. Easy for a entry level employee to use. Azalea is willing to accept and implement user ideas for upgrades. Auto downloading of eras is the best feature-no paying a payment poster to spend hours manually entering payments-automate the system with Trizetto-a clearinghouse Azalea partners with. Great support staff-tickets are handled quickly and efficiently. So of the reports are time consuming to extract the data you are looking for. Agings for example-no aging report that gives a total overall account balance on one line. The combined aging is line by line. The primary insurance aging only gives insurance, pt. aging gives patient balances. Need a report that combines the two and gives one line item balance per patient. Sometimes the upgrades will mess up other processes and that can be frustrating. Fast and timely claims handling means reimbursement in fastest time possible. Hassle and worry free process. Diligent follow up on denials to maximize returns. I am able to print and view reports about accounts receivables, collections and payors at any time and for any period. All this at a reasonable cost and a peace of mind.Fast and timely claims handling means reimbursement in fastest time possible. Hassle and worry free process. Diligent follow up on denials to maximize returns. I am able to print and view reports about accounts receivables, collections and payors at any time and for any period. All this at a reasonable cost and a peace of mind. Customer Service is great and very responsive. Fast and timely claims handling means reimbursement in fastest time possible. Hassle and worry free process. Diligent follow up on denials to maximize returns. I am able to print and view reports about accounts receivables, collections and payors at any time and for any period. All this at a reasonable cost and a peace of mind. Customer Service is great and very responsive. None. Compared to several years of having my own staff with all the hassles that go along with that and having employees embezzle funds, having azalea health meant having security and transparency. Contact Azalea Health for pricing information. • The centralized billing feature within Azalea Health allows hospitals and medical practitioners to streamline billing workflows and gain insight into growth and financial performance. 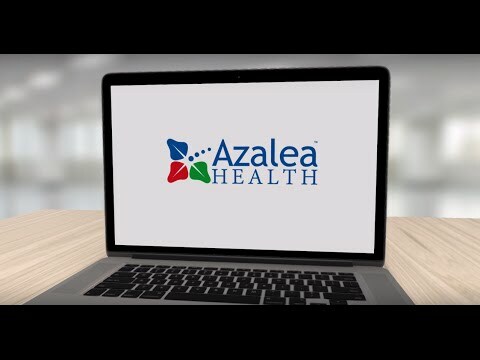 • Azalea Health’s RCM billing provides a wide range of functions including reimbursement accounting, patient invoicing, detailed billing reports, electronic claims submission, physician contracting, denials management, collections, and credentialing. • The Azalea Health software helps capture professional and institutional reimbursement fees for telehealth visits. • Azalea Health offers pre-authorization services that provide experienced partners who owns the process to help users increase claim reimbursements with instant turnaround, low data error, and low duplication. • The pre-authorization services portal allows for transparency among practitioners with its single-screen management, and helps in procedure code look-up and status-based filtering. Below are some frequently asked questions for Azalea Health. Q. What type of pricing plans does Azalea Health offer? Q. Who are the typical users of Azalea Health? Q. What languages does Azalea Health support? Q. Does Azalea Health support mobile devices? Q. Does Azalea Health offer an API? No, Azalea Health does not have an API available. Q. What other apps does Azalea Health integrate with? Q. What level of support does Azalea Health offer?